Oh Jimmi, you’re so fine, you’re so fine you blow my mind, hey Jimmi! Hey Jimmi! Brits in Toronto previewed and reviewed the last British Isles Show back in November, and we all had a jolly good time! Now it’s on again from April 11-13 so get the cucumber sarnies and weak lemon drink packed lunch ready, and head on out. See you there? Possibly. Might be busy, we’ll see. Will try and make it though. Cheers. 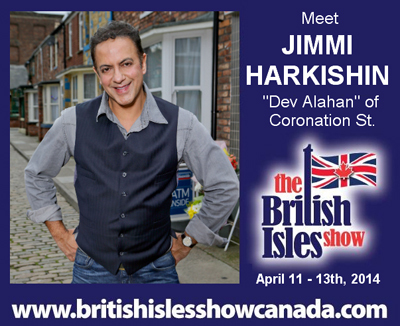 This entry was posted in Uncategorized and tagged brits in toronto, dev alahan, jimmi harkishin, the british isles show on March 30, 2014 by britsintoronto. Let’s all help fellow Brit Shaun find a job! Shaun is now our new best friend. Which is why he’s today’s “let’s all help a fellow Brit find a job” blog subject. “I am entering Canada on an IEC 12-month working holiday visa, as such I’ve already started researching potential work opportunities in the Toronto area. 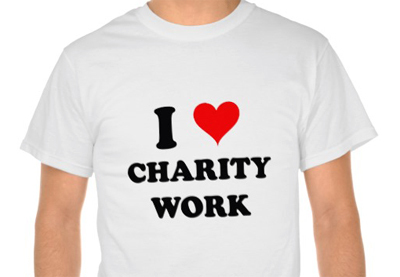 I currently work for a national youth and community charity in London. 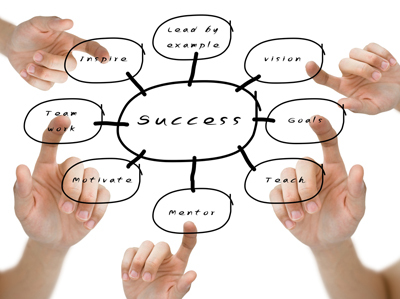 I have extensive experience in programme management, youth work and inclusion/access/diversity practice. My current role as an Inclusion Associate Manager requires me to ensure that the community engagement programmes we run are fully accessible to all young people regardless of any physical, societal, cultural or religious barrier. So, there you have it. A forward-planning, caring Brit with an excellent T-shirt is coming to Toronto and looking for job leads and contacts. You can e-mail him at shauncornfoot AT hotmail DOT co DOT uk if you — or a colleague — wants to reach out. This entry was posted in Uncategorized and tagged brits in toronto on March 26, 2014 by britsintoronto. When you get that curry craving and don’t mind grabbing the passport, jumping in the motor and heading to Mississauga, there’s a place for you to scratch that spicy itch and raise the heat levels a little. 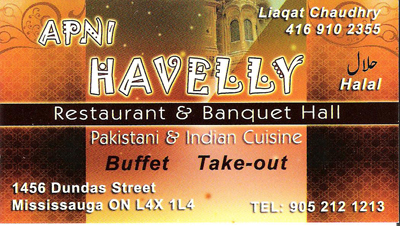 Apni Havelly is located by Dundas Street East and Dixie Road and is worth the drive, I believe. Because it’s a mix of Pakistani and Indian cuisine, some — not all — of the dishes are extra spicy. Not “blow your head off” levels, but enough to make you want to refill your glass (with the personal big jug of water they give you) more often and blow your nose frequently. Also, because it’s a Muslim eaterie, alcohol is not an option, so no worries asking a friend to be designated driver — they won’t miss out. Here’s the menu, but I recommend going on a Friday or Saturday night as they do an excellent buffet, including a generous selection of vegetarian choices and a barbecue section for Tandoori Chicken and spicy sausage. 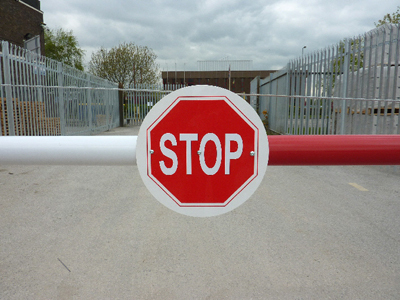 A few words of caution. It can get quite busy with families on those evenings, so avoid if you are averse to small children running around hot food. Some of the dishes also contain quite a bit of ghee (clarified butter) so although very tasty, they can be quite oily. That may put some diners off. A DJ/singer starts around 7:00 p.m. on a Saturday night, so leave the restaurant earlier than that if Bollywood songs as you eat are also not your thing. Having said all that, the food really is delicious. There’s a good salad and dessert section too, and a nice mix of different types of curries. The staff are also extremely friendly and willing to accommodate any special requests. So, go to the buffet with a very empty stomach and I don’t think you’ll be disappointed. Apni Havelly gets a Brits in Toronto 4/5 stars. This entry was posted in Uncategorized and tagged apni havelly, brits in toronto on March 23, 2014 by britsintoronto. Canada wants to attract skilled newcomers … but might make it more difficult. Huh? “Federal, provincial and territorial (FPT) immigration ministers today reiterated their commitment to actively recruit economic immigrants that have the skills the Canadian economy needs most. “Canada’s Citizenship and Immigration Minister Chris Alexander and Alberta’s Jobs, Skills, Training and Labour Minister Thomas Lukaszuk co-chaired the meeting of FPT ministers responsible for immigration. Economic immigration was a top priority for all ministers around the table. “According to the Minister Alexander the Bill ‘will protect the value of Canadian citizenship for those who have it while creating a faster and more efficient process for those applying to get it.’ The cost of applying for Canadian Citizenship is also increasing to $400 from $200. This increase is effective immediately. So … Canada has programs in place on one hand to attract good people, but makes it harder for them to become citizens? Are we missing something here? This entry was posted in Uncategorized and tagged brits in toronto, canadian citizenship, immigrants on March 22, 2014 by britsintoronto. 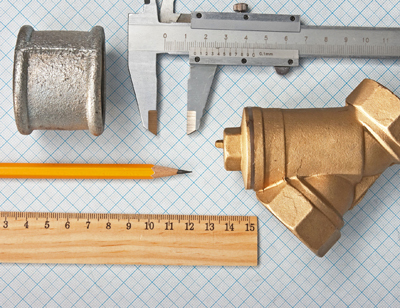 “A new international study that will help British- and Irish-trained tradespeople assess their skills against Canadian criteria is being supported by Citizenship and Immigration Canada (CIC). This entry was posted in Uncategorized and tagged brits in toronto, citizenship and immigration canada on March 17, 2014 by britsintoronto. 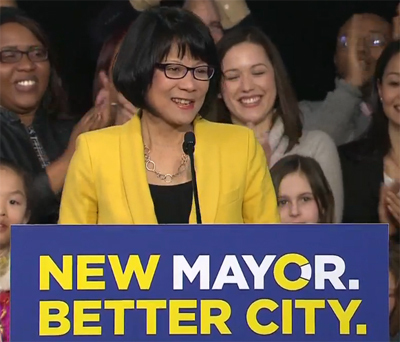 The REAL campaign to become Toronto’s next mayor kicked off today when — as widely predicted — Olivia Chow officially announced she’s running for the job. Brits in Toronto has no political allegiance or bias. We may “crack” the odd joke here and there, but in all honesty, just want to live in a great city like Toronto that is being run well, not costing us a fortune and has some respect. Not too much to ask, eh? There are 37 candidates so far, but here’s a quick list of the top prospects (in alphabetical order), links to their policies, agendas and websites and handy anagrams of their names you can break the ice at parties with. Jeff Billard = Bad jell! Riff? Olivia Chow = Aw civil, ooh! Karen Stintz = Arts? Zen? Knit! Good luck to all the candidates and may you keep the promises you make during this campaign! This entry was posted in Uncategorized and tagged brits in toronto, david soknacki, jeff billard, john tory, karen stintz, morgan baskin, olivia chow, rob ford, toronto mayor on March 13, 2014 by britsintoronto.